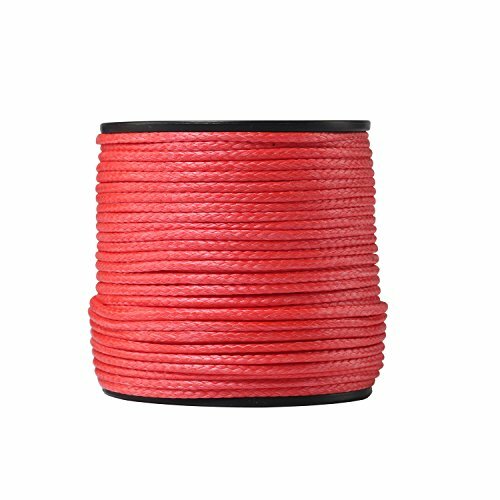 Red Colour Rope in a Roll, 2mm X 50 Meter length, Breaking strength 480 KG. Great for spearfishing and stronger than steel.so light it floats.the line has tightest braid i have seen. The polyrethane coating does not bleed onto your hands or dye your equipment. The best choose for your spearfishing tool. One Year Warranty.The item will ship from China and you will get it about 15 days. If you have any questions about this product by Ymiss, contact us by completing and submitting the form below. If you are looking for a specif part number, please include it with your message.